In 2014, 10,574 people died of heroin overdose while 15,778 died from an overdose of psychiatric medications, nearly 50% more. We often hear the shocking fact that deaths from heroin increased nearly 5 fold (374%) between 1999 and 2014, but rarely – if ever – do we hear that deaths from psychiatric drug overdoses have increased nearly 4 fold (278%) over the same time period. The data are summarized in Figure 1. The biggest killers are sedatives (benzodiazepines such as Xanax and Z-drugs such as Ambien), antidepressants, psychostimulants (Ritalin, amphetamine, and methamphetamine), and antipsychotics, in that order, as shown in Figure 2. What accounts for this high overdose death rate for users of psychiatric medications and for the steep climb in death rates over the past 15 years? A number of factors appear to contribute to this, including increased prescribing, increased polypharmacy (prescribing multiple drugs to the same person at once), increased off-label prescribing, and increased prescribing of psychiatric drugs by non specialists, including general practitioners, nurse practitioners, and others untrained in the field of psychiatry. We will proceed to look at each of these factors below. Details of prescribing by drug class are given in Figure 3 and percentage of increase in prescribing is in Figure 4. Although the increase in number of prescriptions partially accounts for the increase in death rates, it is clear that it does not account for all of them, and that there must be other factors involved. Those primary factors are most likely polypharmacy, off-label prescribing, and non-specialist prescribing. Although medical scholars use the word polypharmacy in several different ways, the simplest definition is “the prescription of two or more drugs at the same time.” In other words, drug mixing. In some cases, such as HIV treatment, polypharmacy is an evidence-based best practice. In other cases, such as psychiatric treatment, there is little research to back up most instances of polypharmacy; moreover, inappropriate polypharmacy can be harmful or even deadly. Mojtabai and Olfson (2010) report major increases in psychiatric polypharmacy: in office-based psychiatry practices in the United States the median number of medications prescribed per visit doubled from 1 in 1996-1997 to 2 in 2005-2006 and the mean number increased by 40.1% from 1.42 in 1996-1997 to 1.99 in 2005-2006. In Figure 5 we show the percentage of deaths due to drug mixing in each psychiatric medication class in 2014. Figure 6 lists the drug combinations with psychiatric medications which had the highest death rates in 2014. 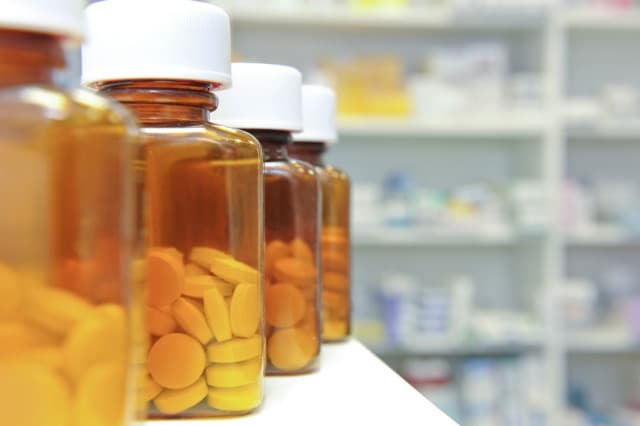 Off-label and general practitioner prescribing of psychiatric medications: Off-label prescribing refers to prescribing a drug for a reason other than one which has been approved by the FDA. Although there are instances where off-label prescribing is based on sound published scientific evidence, this is not so in the vast majority of cases. Radley et al. (2006) found that only 4% of off-label psychiatric prescriptions had strong scientific support. Ali and Ajmal (2012) report that off-label prescribing carries clinical risks, such as adverse effects and unproven efficacy. Additionally, Mojtabai and Olfson (2011) report that 72.7% of antidepressant prescriptions in 2007 were written in the absence of any psychiatric diagnosis. Moreover, according to Mark et al. (2009) less than one fourth of prescriptions for psychiatric medications are written by psychiatrist, over three fourths are written by general practitioners, nurse practitioners, and others untrained in the field of psychiatry. In my personal experience running an alcohol support group, I have had countless women tell me that, despite admitting they were drinking too much, their GPs still prescribed an SSRI antidepressant and, shortly after starting the antidepressant, their alcohol consumption went through the roof. This is not surprising, in light of the fact that research by Naranjo et al. (1995) showed that women treated with SSRIs drank significantly more than women given a placebo; a survey by Graham and Massak (2007) also found antidepressants were useless for reducing drinking in women. Unfortunately, doctors who have been encouraged to write off-label prescriptions frequently jump to the conclusion that women who drink too much must be depressed, so they wind up prescribing an antidepressant that actually makes them drink more. There is a great deal of potential harm which can result from off-label prescribing. Wouldn’t it be great if there were some way we could permanently change the wiring of the brain to ameliorate or eliminate things like depression, anxiety, and schizophrenia without a lifetime reliance on potentially deadly drugs? Actually there is: it is called psychotherapy. Everything you do which changes the way you think also changes your brain. Recent neuroimaging studies of people who have undergone Cognitive Behavioral Therapy (CBT) by Porto et al. and by Quide et al. show different patterns of brain function than those who have not had such therapy. There is another type of psychotherapy known as Dialectical Behavioral Therapy (DBT) which incorporates mindfulness and meditation practices into CBT. A large body of neuroimaging studies by Newberg demonstrate that mindfulness and meditation practices also permanently change the functioning of the brain. But what about schizophrenia? Isn’t the only hope for schizophrenics to keep them doped up in a zombified stupor until the day they day? A recent New York Times article titled “New Approach Advised to Treat Schizophrenia” says no; the best treatment for schizophrenics is minimal use of antipsychotic drugs and lots of psychosocial therapy. The article then goes on to tell us that there is actually nothing “new” in this treatment approach, as it has been used in Scandinavia and Australia with great success for decades. It is only new to American psychiatrists who are too ignorant and arrogant to learn anything from the rest of the world and will only accept a study that has been carried out in America. But the reality is that it is not new – even in America. It is the model pioneered by Loren Mosher back in the 1970’s before Big Pharma got him fired from his post as chief of NIMH’s Center for the Study of Schizophrenia…because he was interfering with the profits from their latest huge money maker: antipsychotic drugs. The reality is that drugging patients into a stupor with huge doses of antipsychotics prevents recovery from schizophrenia. This is why third world countries like India and Nigeria have much higher recovery rates for schizophrenia than the US; they cannot afford antipsychotic drugs which have good short term effects and very bad long term effects. Harding’s Vermont study found that half to two thirds of unmedicated schizophrenics recovered and Harrow found similar results. This is in stark contrast to medicated schizophrenics whose recovery rate is around 10 to 20%. When prescribed appropriately, psychiatric medications are lifesaving, life changing wonder drugs. However, when over-prescribed or inappropriately prescribed they can lead to great harm and even death. What is needed is a major curtailment of polypharmacy, off-label prescribing, and non-specialist prescribing. The use of psychiatric drugs needs to be reduced to a mere fraction of current use rates and needs to be replaced or supplemented with appropriate psychosocial interventions which include not only therapy but such basics as housing, food security, and education. Money needs to be invested in social change rather than pill popping if we wish to create a healthy nation. Would we say that just because insulin is good for diabetics that everyone should take it? No, that is nonsense because it would totally destroy a normal metabolism. Yet this is exactly the approach we are taking with psychiatric medications thanks to the misinformation that Big Pharma feeds to doctors and the general public in order to increase their sales and line their pockets. These MCD codes were used with UCD codes X40-X44, X60-X64, X85, Y10-Y14 to extract data from CDC WONDER.